JERUSALEM - On Tuesday, the European Union’s criminal intelligence agency, Europol, signed an intelligence agreement with Israel. Israel’s Police Commissioner Roni Alsheich and Europol’s Executive Director Catherine De Bolle signed the agreement in The Hague. De Bolle noted that this is the first police-to-police agreement that the EU has signed with any nation outside the EU. This agreement will allow for “cooperation and the transfer of knowledge,” which are the basis for dealing with increased terrorism, fraud and cybercrime around the world. For the EU, there is a real benefit to such an agreement, given Israel’s superior ability to track down terrorists and alert European nations to impending attacks. However, the agreement may also open up Israel’s security apparatus to European eyes—which could be worrying if this friend becomes an enemy. The Bible indicates that the relationship between Europe and Israel will increase, and ties between them will strengthen. This flies in the face of the Israeli public’s feeling that Europe has and always will be an adversary of the Jewish state, no matter how the EU might spin it. Nevertheless, there will likely be more security pacts like this in the future. However, the Bible indicates that such security pacts will result in a European double-cross against Israel. In Hosea 5, the Bible reveals that Israel (biblical Judah) will actually reach out to German-led Europe for help in the area of security. You can read more about this subject in our booklet Jerusalem in Prophecy. Turkey’s President Recep Tayyip Erdoğan fulfilled a campaign promise this week by formally ending the state of emergency that was in force since the failed coup in 2016. The state of emergency granted supreme powers to Erdoğan. This allowed him to carry out the biggest purge in Turkey’s modern history, in which he imprisoned about 80,000 people. As the head of the opposition said this week, “With this bill, with the measures in the text, the state of emergency will not be extended for three months, but for three years,” referencing the length of time until the next election. The Bible indicated that in the end time, there would be a strongman like Erdoğan at the helm of Turkey. Based on prophecies found in Psalm 83 and the book of Obadiah, the Trumpet has been watching for a strong leader in Turkey who is capable of navigating powerful alliances, especially an alliance with a strong German-led Europe. The European double-cross of Israel actually includes a role for the nation of Turkey. 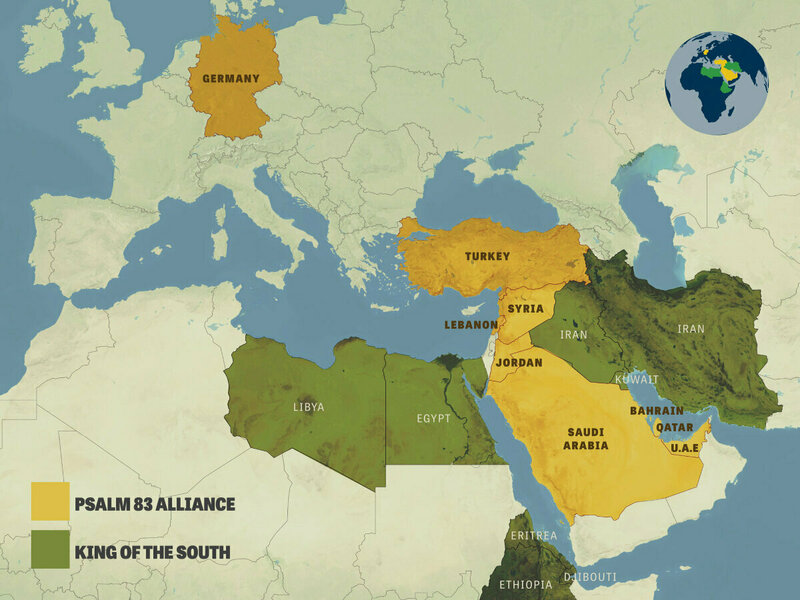 To read more about Turkey’s role in this prophecy, you can request our free booklet The King of the South. The law also declares that Jerusalem is the capital of Israel, sets the Hebrew calendar as the official calendar of the state, and recognizes Israeli Independence Day, national days of remembrance and Jewish holidays. The bill makes the fact that Israel is the Jewish state an integral part of its common law, which is akin to its constitution. This new law underscores Israel’s biblical identity, which is critical to know if we are to understand Biblical prophecy. As the Bible explains, ancient Israel was made up of 13 tribes. The biblical nation of Judah, from which we get the term “Jew” or “Jewish,” was composed of three of the southernmost tribes: Judah, Benjamin and Levi. In ancient times, the northern tribes were never called Judah. Thus, when the Bible refers to Israel in prophecy, it rarely refers to the modern state of Israel. But when the Bible speaks of Judah, that refers to the modern Jewish state. In a round-about way, this new law confirms that fact.